Federal health officials are warning consumers not to eat Trader Joe's Valencia Creamy Salted Peanut Butter after the product was linked to salmonella infections that have sickened 29 people in 18 states. Four people have been hospitalized. It is especially important that children under age 5, elderly adults and people with weak immune systems avoid the product, which has been possibly linked to an outbreak of salmonella Bredeney, according to the Food and Drug Administration. Trader Joe's has pulled the product from store shelves nationwide and posted an advisory on the company's web page. The peanut butter, which is sold in 16-ounce plastic jars, should be discarded or returned to any Trader Joe's store for a full refund. FDA officials said they are working with the Centers for Disease Control and Prevention and local and state health officials across the country to investigate what the agency called "a fast-moving outbreak" in a statement issued Saturday. The government did not release which states had reported illnesses, but several states have issued warnings to residents not to eat the peanut butter. According to the individual states' health departments, three cases were in Massachusetts, one was in Rhode Island and one was in North Carolina. "FDA's top priority is protecting consumers and ensuring the safety of our food supply," the agency said. Those affected by the outbreak became ill between June 11 and Sept. 2, the CDC said. Illnessed that occurred after Aug. 29 may not yet have been logged because of an expected lag in reporting time. People infected with salmonella typically develop diarrhea, fever and abdominal cramps within 12 to 72 hours after eating contaminated food. The illness typically lasts between four to seven days and most people recover without treatment. However, some people, particularly the very young, the elderly and those with compromised immune systems, may become very ill and require hospitalization. Children are the most likely to get salmonella infections. 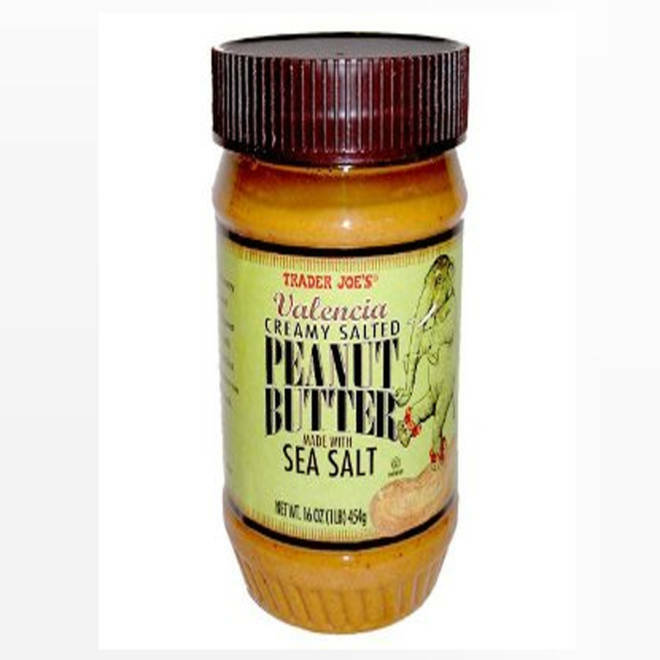 Anyone who shows signs of infection after eating Trader Joe's Valencia Creamy Salted Peanut Butter made with sea salt should contact a health provider. Health officials are investigating whether any other products sold primarily at Trader Joe's are linked to the outbreak. Peanut butter has been the cause of widespread outbreaks of foodborne illness in recent years. In 2008, 714 people in 46 states were sickened by salmonella Typhimurium found in peanut butter crackers and other products. In 2007, 425 people in 44 states were sickened by salmonella Typhimurium found in Peter Pan and Great Value peanut butter.